Our super catering team were presented with two awards this week (pictured below)! 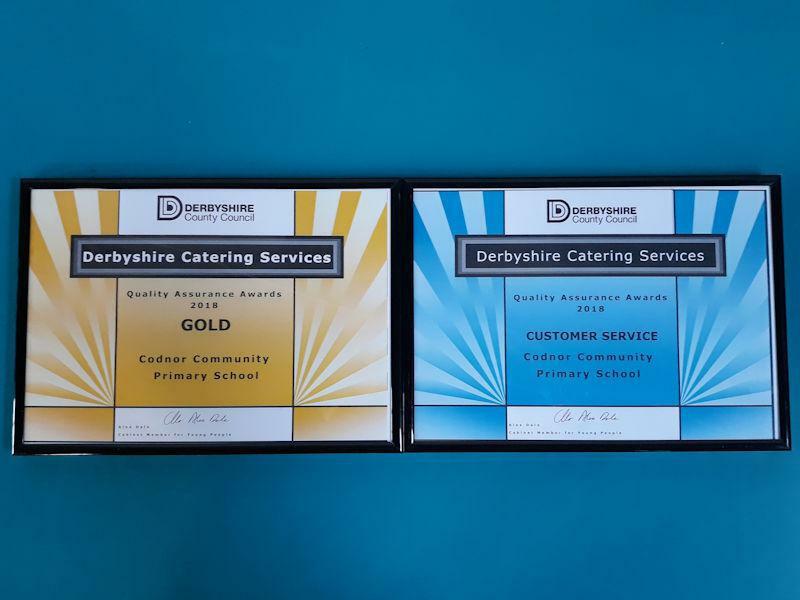 The first was for great customer service, and the second was the coveted Gold Standard Award for school catering. When making their judgements, inspectors looked at food quality and choice, kitchen and servery cleanliness, paperwork and documentation, to name a few. Congratulations to the whole team!